Use a generous amount of acrylic paint to both the canvas and the 6 wooden circles. (Make sure your painting surface is covered.) Allow to dry overnight. Lay circles onto painted canvas to see where you want to glue them. Use your favorite craft wood glue to fasten them to the painted canvas. Allow them to dry. After the LEGO Brick is completely dry, get ribbon and measure how long you want it to hang then cut the ribbon accordingly. 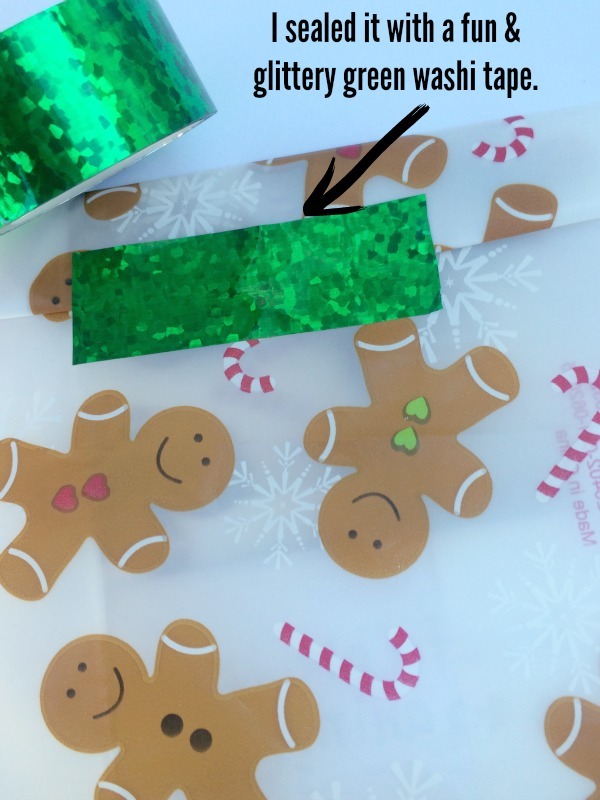 Use the glue gun to fasten the ribbon to the back of the LEGO brick and it’s ready to wear! With these costumes, it’s easy to grab any kind of pants, shorts, skirt, jewelry, sunglasses, hair bow in the same hue as your “brick” to accessorize your costume. I’m thinking of making a GLITTERY PINK LEGO BRICK this year to wear for Halloween! What do you think? After printing out the pencil flags, you can cut each one with scissors or a paper cutter. Fold them flag strips and apply pressure to the crease. Next, trim each one to a flag shape. Use a glue stick to fasten each one securely around the top of each pencil. To print out the FREE printable “Happy Valentine’s Day” flags, go here. I made a non-candy “treat” bag for each of my students that included a Smile Face Valentine pencil with a flag on it, a couple of Mini Valentine Spiral Notebooks, a handful of Mini Smile Face Erasers, a couple sheets of Mini Heart Big Roll Stickers, and a Tic-Tac-Toe Valentine Sticker Card for each student. I stuck everything into a clear cellophane bag. and tied with some ribbon. I can’t wait to pass them out on Valentine’s Day! Do you send anything special for Valentine’s Day for your child’s classmates? With the holidays just around the corner, Basic Invite is offering over 250 Christmas card and holiday card designs to choose from. Whether you’re looking for a photo card or a beautifully illustrated card, Basic Invite will have the perfect template for you to start with and personalize. It’s so hard to narrow down my choices but I’m thinking foil cards for our own 2017 Christmas cards. After browsing their Foil Cards section, I see that in addition to gold and silver foil cards, they are also offering rose gold holiday cards. Rose gold is my latest obsession! Customers ordering Basic Invite foil designs have a choice of either flat or raised foil embellishments on any area you’d like, even your names. In addition to their foil 2017 Christmas cards, here are just a couple other pictures of some of the other cute Christmas cards you’ll find on their site: To check out more of their cute Christmas cards, go here. Have you ordered your 2017 Christmas cards yet? It’s never too early! Right now Basic Invite is offering 30% off your holiday cards order with coupon code: holi30 so be sure to enter it at checkout. You can connect with Basic Invite on Facebook, Pinterest, Intagram, and Twitter, too. Images and logo are property of Basic Invite and used with permission. My students know that Valentine’s Day is my most favorite holiday of the year. It’s so much fun to change up some of the Math activities in my classroom each month to go along with the holidays. Patterning is one of the Math activities we work on throughout the school year. At the primary level, patterning is everywhere and there are plenty of opportunities to integrate it into a lot of areas in the classroom. My students get extra giddy when they see the hearts come out because they know it’s that time of year! To create this fun Valentine’s Day patterning activity, I found the most adorable mini smile face heart erasers on the Oriental Trading Company site’s Valentine section and couldn’t resist. Their little faces are so cute, and look kinda like emoji faces. I also ordered some Valentine’s Day washi tape. To make the activity even more appealing, I utilized a big, red wooden heart that I had at home. This would be something I’d use if I left the activity at an independent center. Students can also just practice the patterning at their desks. Each student gets 3 circles, each one with an “A”, a “B”, and a “C” in the center, to create their “key”. They place a different colored heart eraser in each circle after they decide which ones they want to be each letter in their patterns. Then they place the rectangular pattern cards out on their desk. Each student receives about 50 heart erasers to work with and they create their own patterns. It keeps them pretty quiet for a short while, which is nice. To switch it up, they can change around which color heart they place in the key and create new patterns. They LOVE doing this patterning activity! As an extension activity, you can also have students draw and illustrate their patterns on a piece of paper. To download the free printables from this activity, go here. As always, I recommend printing these out on white cardstock because it’s sturdier. I received promotional items in order to write this post. All opinions are 100% my own. Let me start by saying that I don’t do anything scary, especially at Halloween time. I don’t think it’s fun to scare my daughter or other children around me. With that being said, let’s talk about The Switch Witch because it’s Halloween time and you’re going to need her to come and save you! Don’t worry, The Switch Witch is a friendly witch and she will make your life so much easier. This time of year, kids everywhere are gathering way too much candy for their own good. Whether they’ve gone to Halloween parties or received goody bags from school, it’s all more candy than they should be eating. As soon as Halloween night hits, your home is going to be overthrown by even more sweet treats! The story of The Switch Witch is a fun, friendly one and a game changer for parents everywhere who are looking to get rid of their kid’s Halloween candy! It’s important to know that she is a friendly witch and a friend of The Tooth Fairy, Santa, and The Easter Bunny, so that’s how I first explained her to my daughter. She only visits during the first few nights after Halloween (including Halloween night). Kids get to pick out 10 pieces of candy and put them away somewhere safe. Then, they leave the rest of their candy out for The Switch Witch before they go to sleep. (Some kids even write her a nice note!) Later that night, when everyone is sleeping, The Switch Witch will come in and “switch” out their candy for a surprise! When kids wake up the next morning, they get so excited to see what she left them! We’ve done this for every year that my daughter can remember and it really saves what could be looked at as a lot of unwanted sugary treats from being ingested by your kids. Your pediatrician and your dentist will be so pleased with you! Happy Halloween! I was provided with products in order to facilitate this post. All opinions are 100% my own. It’s Halloween season and I get really excited about all of the fun happenings this time of year. Parties, crafts, and trick-or-treating are just some of my favorites. I’m always on the lookout for alternatives to edible Halloween “treats” to give to my students. With all of the other Halloween activities going on, kids get plenty of sugar already. I know other moms appreciate it when their children receive non-sugary treats, especially with general concerns about sugar intake and food allergies I found so many cute things to use on Oriental Trading Company’s site. Have you seen their Halloween section yet? From Halloween toys and games, thematic crafts, and party decorations to Halloween costumes, they have a great Halloween selection. They do have candy on their site as well, which I also order for other things. It’s hard for anyone to resist stuffed animals, so I ordered a bunch of Plush Halloween Mini Characters for my students, which come in owl, cat, and mummy. I love that they’re Halloween-y but not scary. They’ll be perfect for kids to hug or hang onto. I know my own daughter used to have plush with her when she was afraid of the dark. I also think I’ll let my students read with their animals in the classroom if they choose to do so. 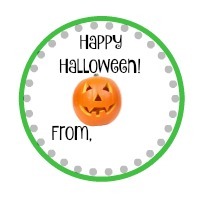 I attached a “Happy Halloween” tag to each one using a printable I made, and used orange and black bakers twine to tie it on. You can download my FREE printable here. As always, I recommend printing it out on white cardstock. I cannot wait to to give these to my students. They are going to be so excited! 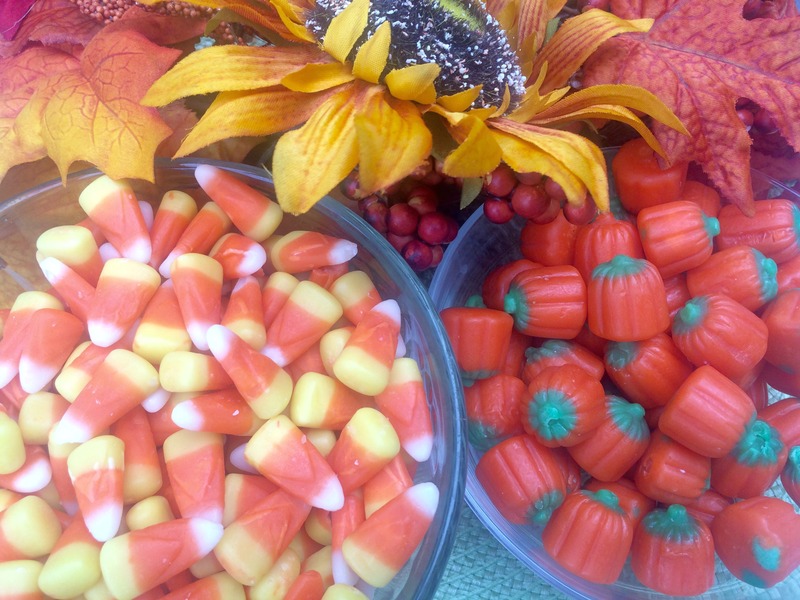 Do you have alternatives to sweets that you like to give to kids at Halloween time? When my daughter was a preschooler, I started a holiday tradition with her every year, during Christmas time. I would put together 12 little surprise treats or bags that were labeled for the 12 days of Christmas and she would get to open a new one each morning, as we counted down the days until Christmas. It’s always been something she’s looked forward to each year. As she’s gotten older, I’ve shifted the focus during the holidays from receive to give or better yet, do for others. 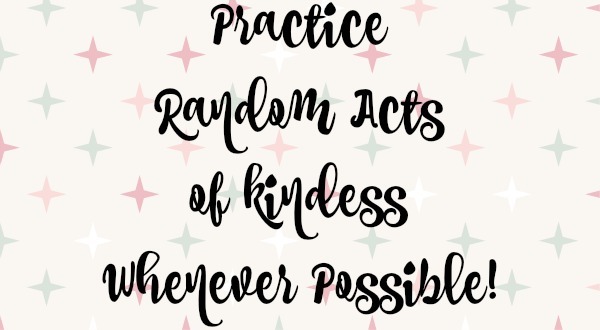 I’m all about practicing Random Acts of Kindness whenever possible and it shouldn’t just be something you do just during the holidays. 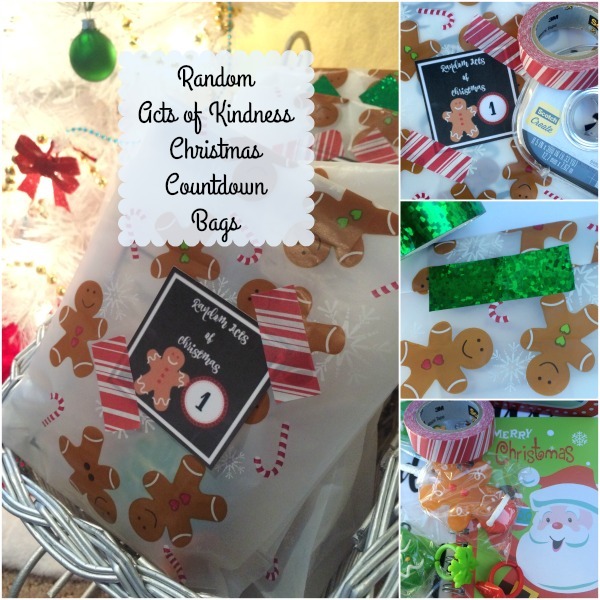 This year, during the holiday season, I decided to put together a little activity using the Random Acts of Kindness concept and some fun Scotch® Brand craft supplies I found at Walmart. One of my most favorite crafting items of all is washi tape! Can you tell? 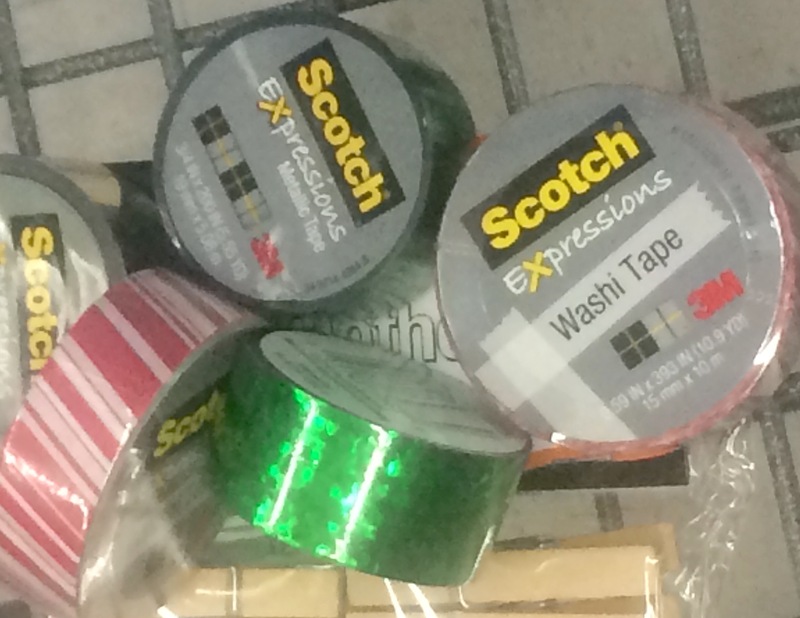 Walmart carries a fun collection of Scotch® Expressions Tapes which come in a variety of colors and fun patterns and are perfect to use on your handmade holiday creations. 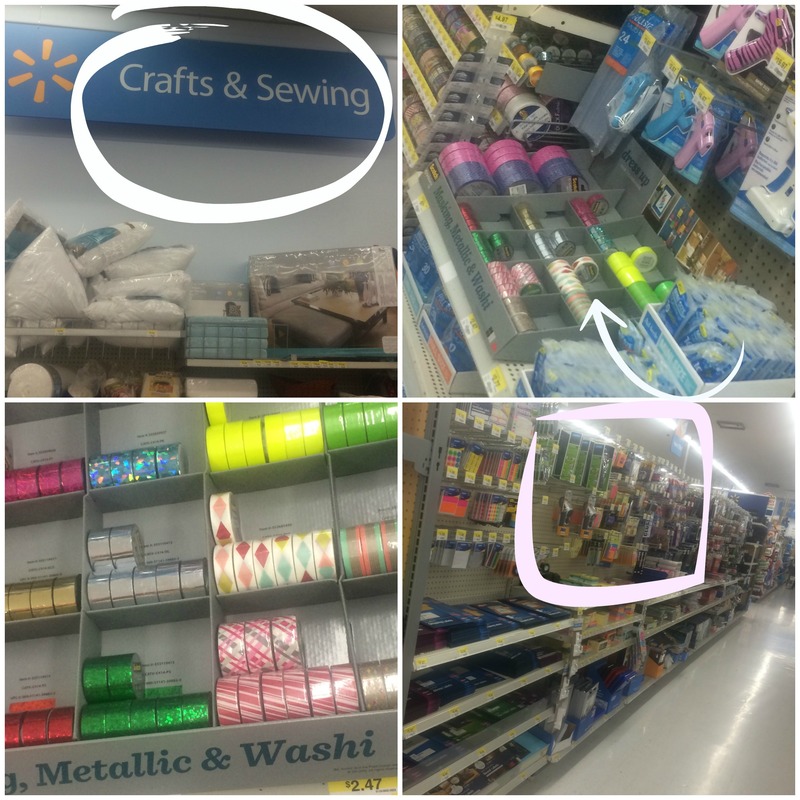 I found these rolls of washi tape in the Crafts & Sewing section at my Walmart. 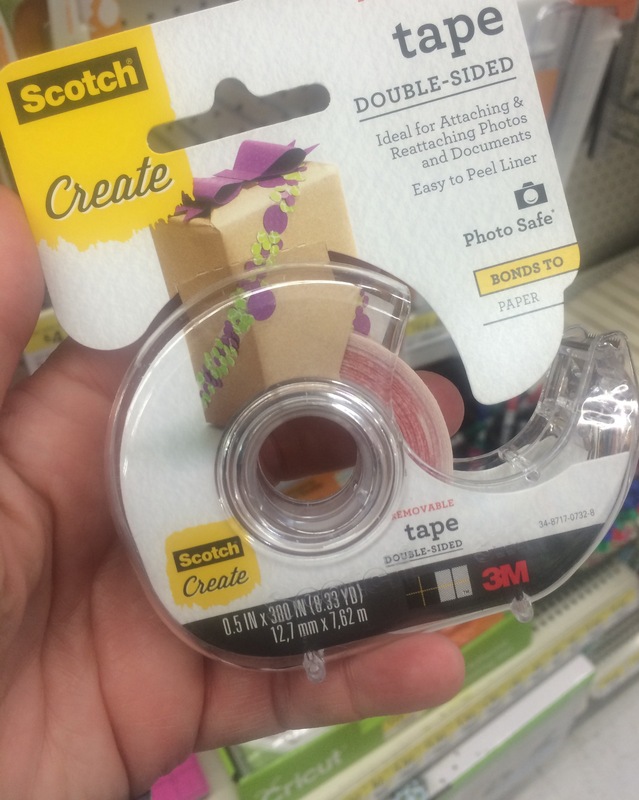 I also picked up some Scotch® Create Double-Sided Tape to help me with the project, which was over by the office supplies. The Scotch® Create line has everything from masking tape to spray adhesives to use for everyday projects. All of the other supplies you’ll see in this tutorial were also purchased at Walmart. 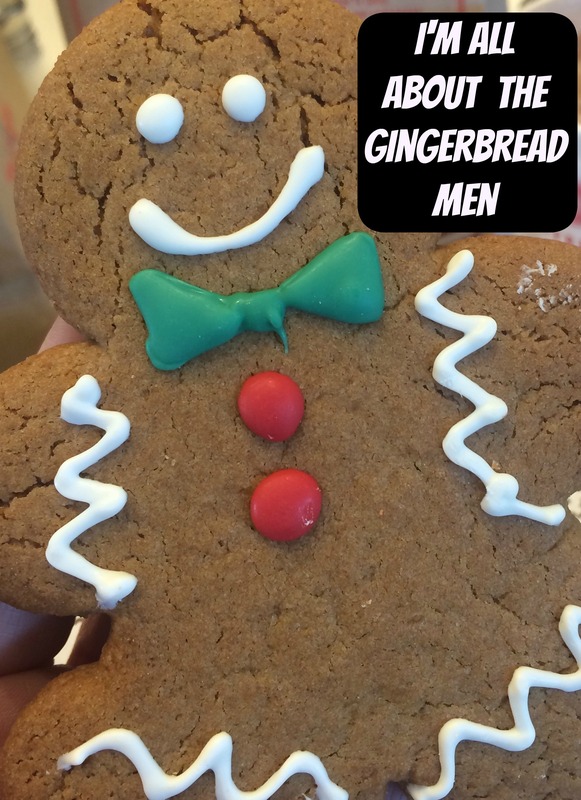 For some reason, I’m really drawn to gingerbread men this year so I made a cute printable with a little gingerbread man on it and called it “Random Acts of Christmas“. You can print these out too, further down in the craft instructions. I attached each one to the front of a bag, using the washi tape. How cute, does it look? I also made a printable note to hand write a Random Act of Kindness on and stick inside each bag. Donate some new, unopened toys (from your closet) at your local fire station. Write a nice letter and mail it to someone. Donate some food to a local food bank or food drive. 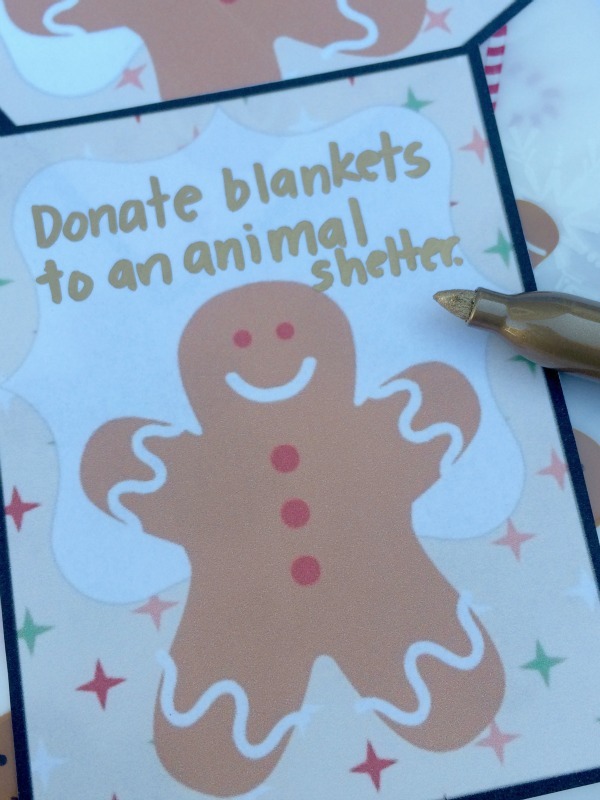 Gather some blankets from your house and donate to an animal shelter or rescue. Find somewhere to donate sweatshirts and jackets that are too small for you. Drop off some baked goods with a nice note to your doctor or dentist’s office. Inside of each bag, I put a small treat and sealed it up with more washi tape. After they were all finished, I placed them all together in a cute “sleigh” basket and placed them next to my daughter’s mini Christmas tree. I explained the idea behind them, placing the emphasis on the Random Acts of Kindness, rather than receiving a big treat per day. I then told her that she was only allowed to open one a day and not shake or touch the others. She was all smiles and excited to do her first “Random Act of Christmas”. I stuck one inside of each bag, along with some simple treats. As I mentioned, I’m placing a bigger emphasis on the “doing for others” part here, but I also want to give my daughter treats in each bag, just nothing too extravagant. 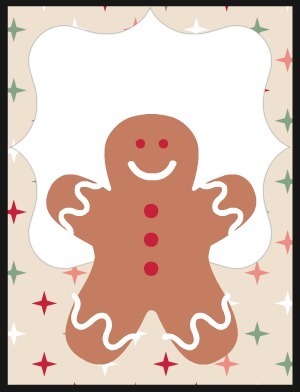 Print out Random Acts of Christmas tags and Random Acts of Kindness cards on white cardstock. Cut apart. 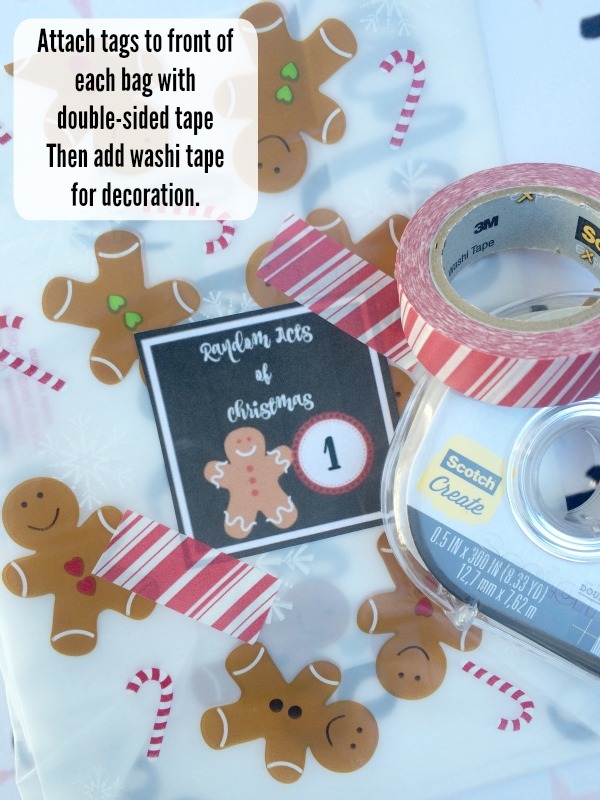 Use Double-Sided Tape to attach tags to the front of the bag and use fun washi tape on each side for a cute, decorative touch. Write one Random Act of Kindness on each card and place inside of a bag. Choose a small treat to put in each bag also. Seal each bag with washi tape. Place the bags in a basket somewhere festive. 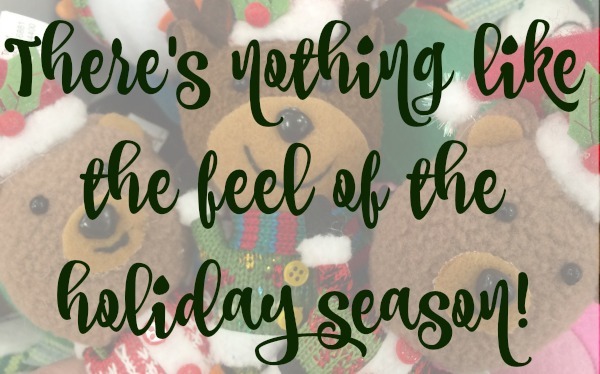 There’s really nothing like the feel of the holiday season! Decorations everywhere, festive music playing, and people in more of an upbeat mood. 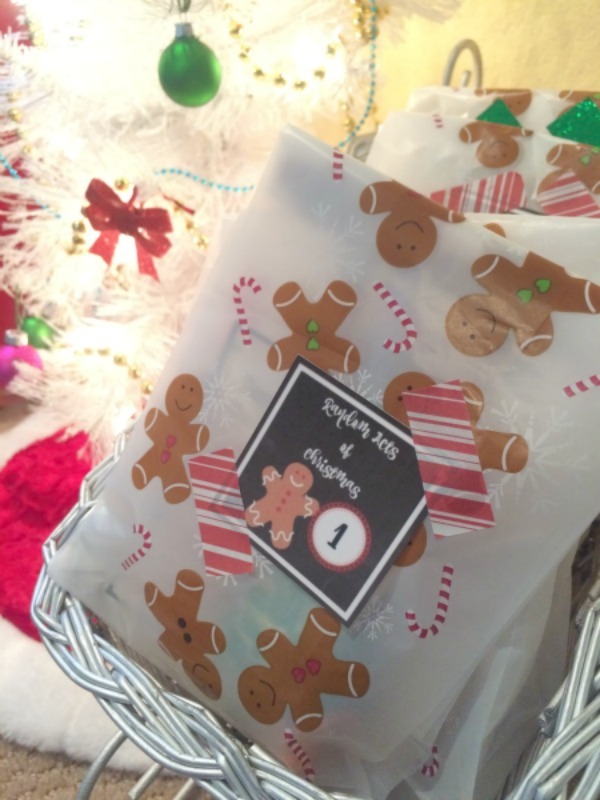 Why not add to the joy to the season by getting your kids involved with Random Acts of Kindness, too? Be sure to check out more amazing craft ideas with Scotch® Brand products. I’ll bet these fun products could help you with a thousand of your craft ideas! 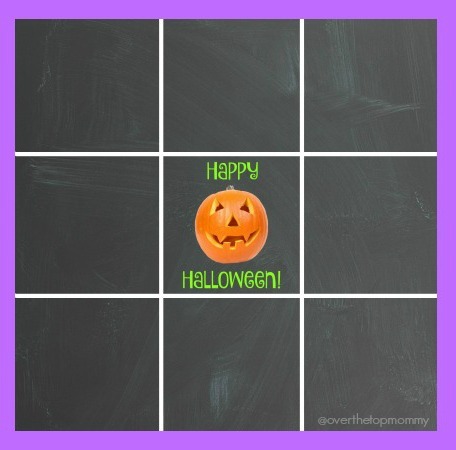 Halloween is such a fun time of year, not only for kids but for moms and teachers, too! I like send something to school with my daughter on Halloween to pass out to her classmates. 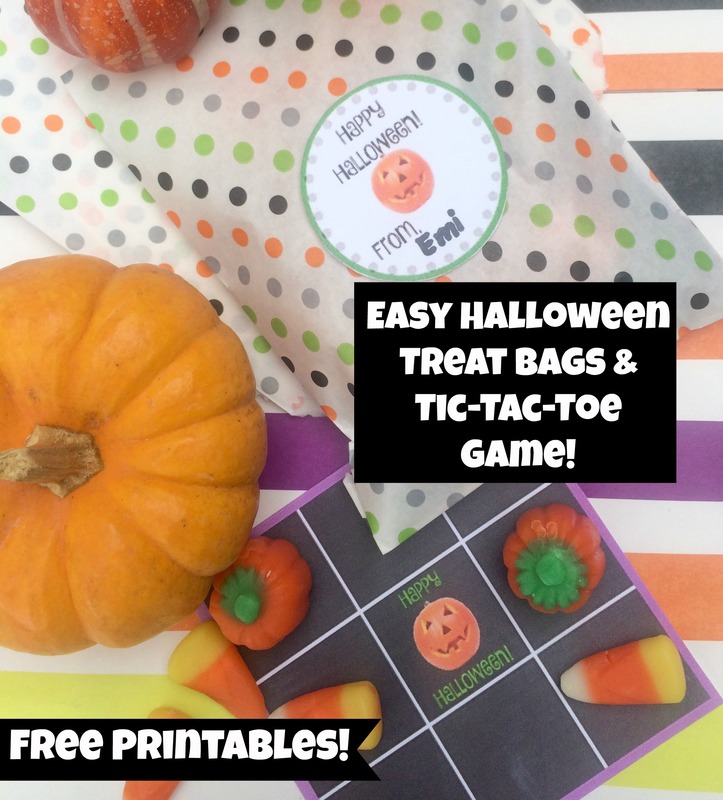 This year, I made cute little “Happy Halloween Tic-Tac-Toe” treat bags and I’ll be sharing my free printable with you. There are a variety of different treats you can pair this with as the game pieces, including some non-food items. Some ideas might include small Halloween erasers, cubes, pennies and nickels, small candies, Goldfish crackers, pretzels, etc. I think you get the idea. 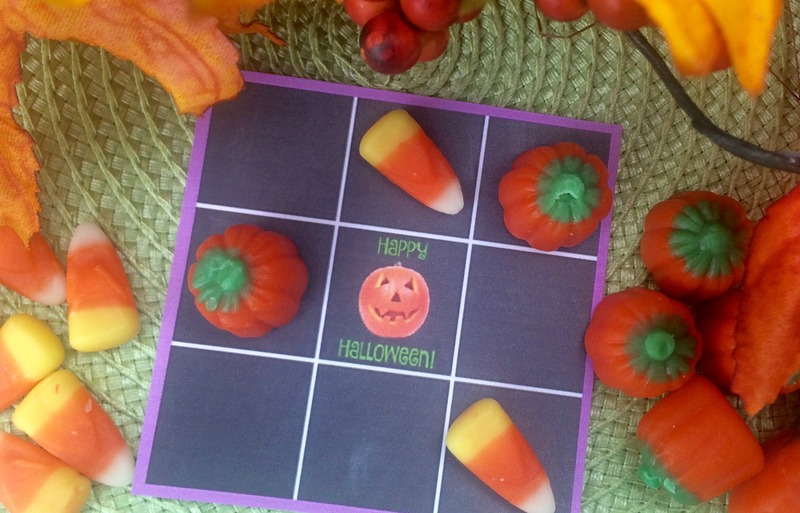 You just need to make sure to include 2 different types of treats in each kit so the kids can play Tic-Tac-Toe. I chose candy corn and candy pumpkins. They are 2 of my own favorite Halloween treats. 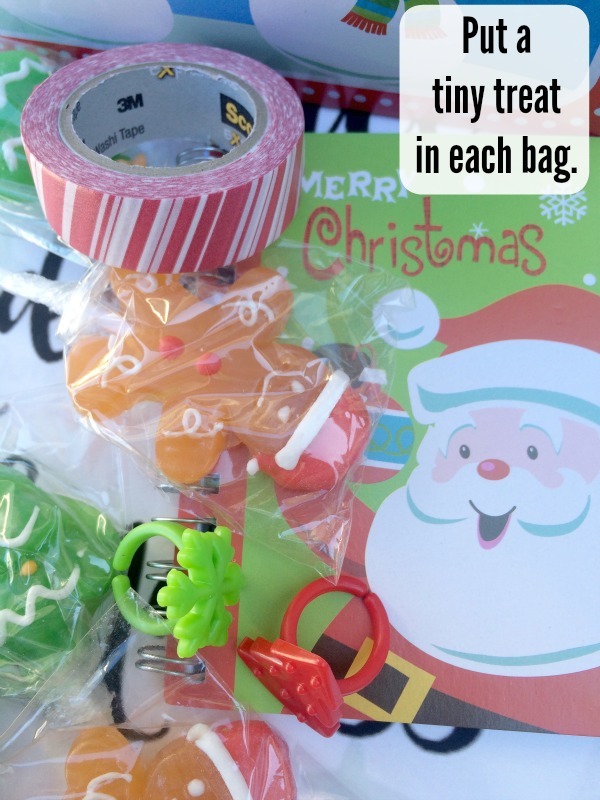 The good thing about these treat bags is that they are very simple to put together, especially at the last minute. I’m all about the last minute! Print out one game board per child. (Click here to print.) I prefer to print mine on white cardstock. Also, they’re set up to print out 2 per sheet. You can adjust to print out 4 per sheet. (check your own computer’s settings). You’ll need scissors or a paper cutter to cut that out. Place one game board and at least 10 of each treat in each bag. Seal treat bags with tape or a cute sticker. If you want to be extra detailed, print out a Happy Halloween tag for each one, write your child’s name on, and attach to each bag. Print tags here and cut out each circle. Well I hope you can use my printables! 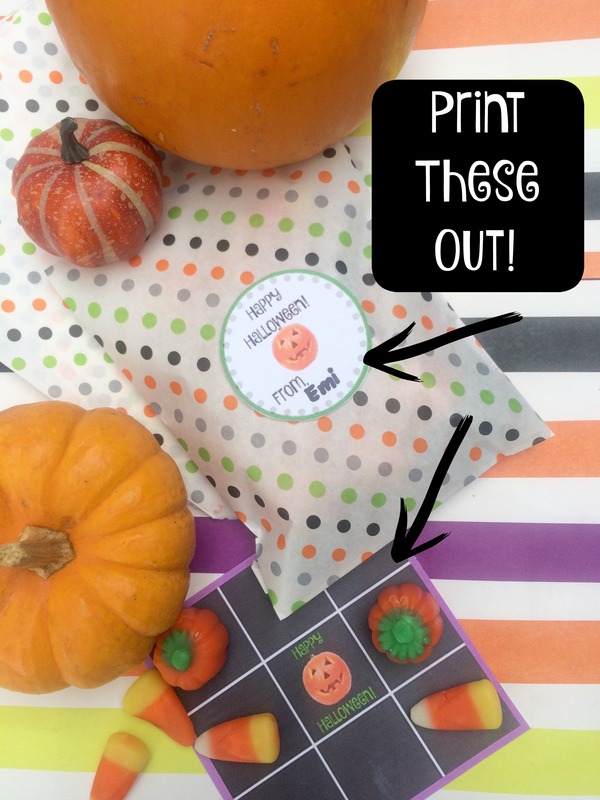 Don’t worry, we most likely don’t have children who attend the same school so I’m guessing you’ll be the only one who shows up with the cutest Halloween favor bags in the class! Oh, and feel free to share with others! Happy Halloween! Spiders, bats, black cats and more… Let’s see what Halloween has in store! Your favorite little ghosts and goblins are invited to The Shops at Mission Viejo for a fun and safe event at the Boo Bash on Saturday, October 24. 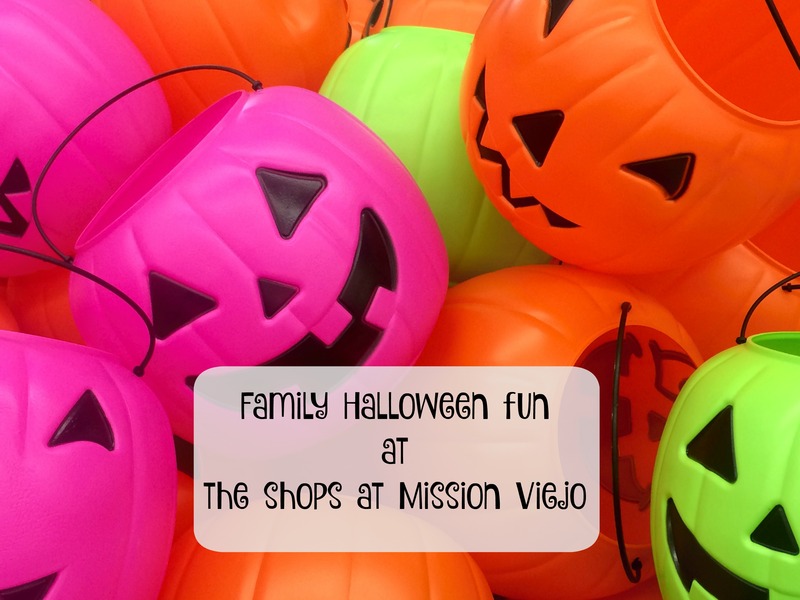 Children of all ages are encouraged to sport their best Halloween costume to haunt The Shops at Mission Viejo in search of Halloween fun. 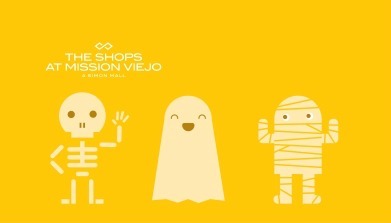 The Shops at Mission Viejo Halloween event, presented by the Simon Kidgits Club, takes place from 10a.m. to noon on the Lower Level, near H&M and Old Navy. You can join in on Halloween themed crafts, giveaways, and more. Get ready for spells and potions at an entertaining magic show from magicIAN, which starts at 10:30 a.m. 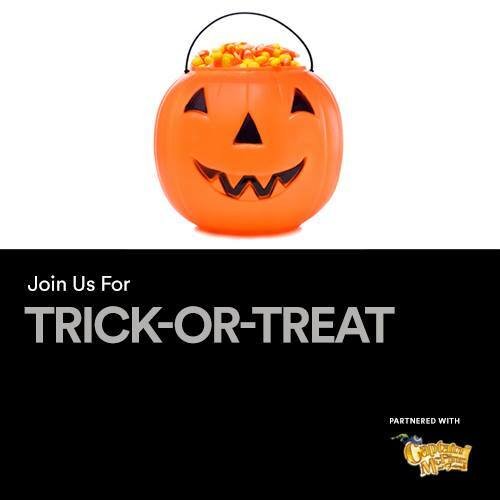 Guests can stop by Guest Services to pick up a flyer with specific store participation and information on candy distribution times of retailers. Note: Toy weapons and costumes should be worn only during event hours and masks are allowed only on children 12 years old and younger. Connect with The Shops at Mission Viejo on Facebook, Twitter, and Instagram!